Former president Jacob Zuma will go to court for 18 criminal charges of corruption, fraud and racketeering and money laundering, NPA boss Shaun Abrahams announced on Friday afternoon. More than 10 years after Zuma was first served the indictment, related to arms deal bribes, he will finally get his day in court, just as he's always pretended he wanted. By GREG NICOLSON. National Prosecuting Authority (NPA) head Shaun Abrahams in Pretoria on Friday said Zuma’s claims that the NPA was bias and investigators abused his rights weren’t enough for the former president to avoid court. The NPA’s KwaZulu-Natal director of Public Prosecutions Moipone Noko has been told to facilitate Zuma’s appearance in court, said Abrahams. “I am of the view that there are reasonable prospects of a successful prosecution of Mr Zuma on the charges listed in the indictment,” he said. Zuma was served an indictment related to the charges in 2007 shortly after winning the ANC presidency from Thabo Mbeki, but the NPA let him off the hook in 2009 and he proceeded to be elected president of the country. 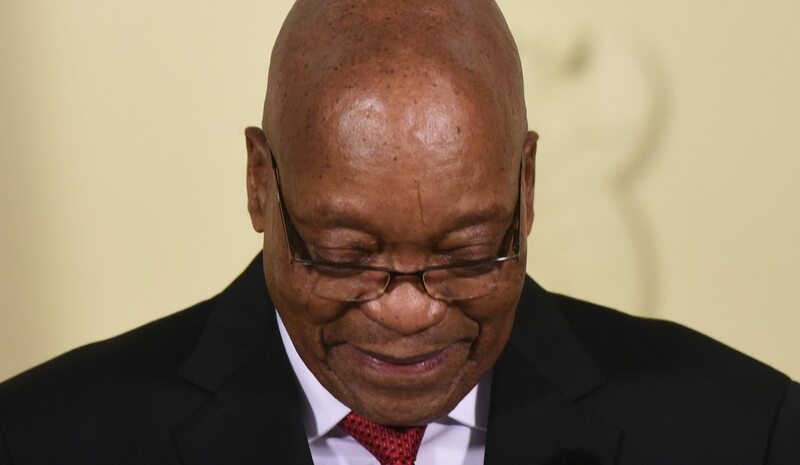 Zuma, who resigned on 14 February this year, is alleged to have taken bribes from companies involved in the multi-billion rand arms deal, finalised in 1999. He is charged with racketeering, corruption, money laundering and fraud. Friday’s announcement follows a failed attempt by the Council for the Advancement of the South African Constitution (Casac) to interdict Abrahams from announcing his decision on Zuma. Casac asked the Constitutional Court to force him to wait until the case regarding his position was finalised. In December, the North Gauteng High Court said Abrahams must vacate office because his appointment was invalid. The court ordered then-deputy president Cyril Ramaphosa to appoint a new NPA boss. Abrahams appealed the ruling and the Constitutional Court has not yet delivered its judgment. Abrahams has been accused of shielding Zuma from prosecution and in court Casac argued that whether he reinstates the charges or not, the public will believe he is either still serving the former president or is looking to impress Ramaphosa. The NPA’s decision follows nine years of litigation led by the DA to overturn former NPA boss Mokotedi Mpshe’s decision to drop the 18 charges, which includes 783 suspicious transactions. Mpshe justified his decision on the “Spy Tapes”, the recordings of phone conversations between Scorpions boss Leonard McCarthy and former NPA head Bulelani Ngcuka. After years of delays, the North Gauteng High Court last year ruled Mpshe’s decision was irrational and the charges should be reinstated. Zuma and the NPA appealed at the Supreme Court of Appeals but admitted at the last minute they had no case. The appeal was rejected. The state spent over R15-million in the case, which Zuma finally admitted was a failure. Ramaphosa on Thursday said Zuma had agreed to pay back the money if he loses his case. The DA is considering going to court to recover the money, claiming Zuma was not a respondent in his capacity as president and should have paid the costs personally. City Press reported last month that a team of five prosecutors working on the case had unanimously agreed to suggest that Abrahams reinstate the charges. The newspaper quoted a source familiar with Zuma’s representations on why he shouldn’t be charged who said the former president believed he was innocent and questioned the timing of the charges. Charges against Zuma’s co-accused, arms company Thint, now known as Thales, will also be reinstated.